Before you begin writing, think about a time you played outside. 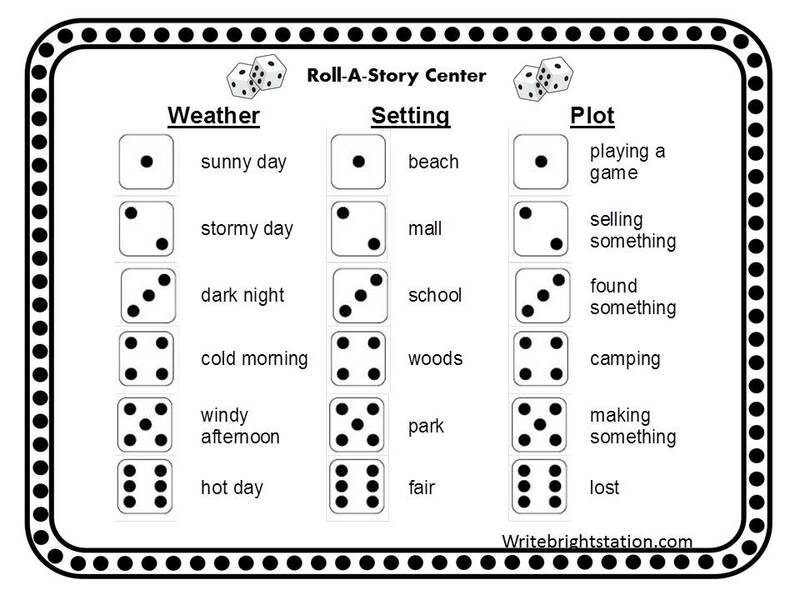 Now write a story about a time you played something outdoors. It's like that game on Price is Right where you punch it out and take what is inside. This would be so fun for a review game! Tissue paper and foam plates. Tape to large cubes or tissue boxes. This editing chart was on Pinterest. I have used the CUPS strategy for years. Capitalize, Understanding, Punctuations, Spelling/sentences. 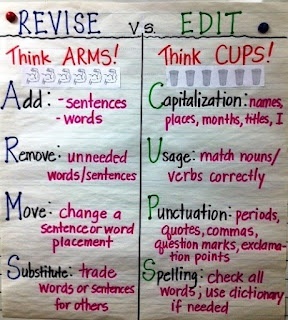 This is an easy way for students to remember the things they need to check in their writing pieces. ARMS is new to me but is a great suggestion. Add, Remove, Move, Substitute. Students need to understand they can write on their "sloppy copy" while using editing marks. Going through the phases of writing takes time and should be made as painless as possible. Revising is a standard found within Common Core Curriculum. 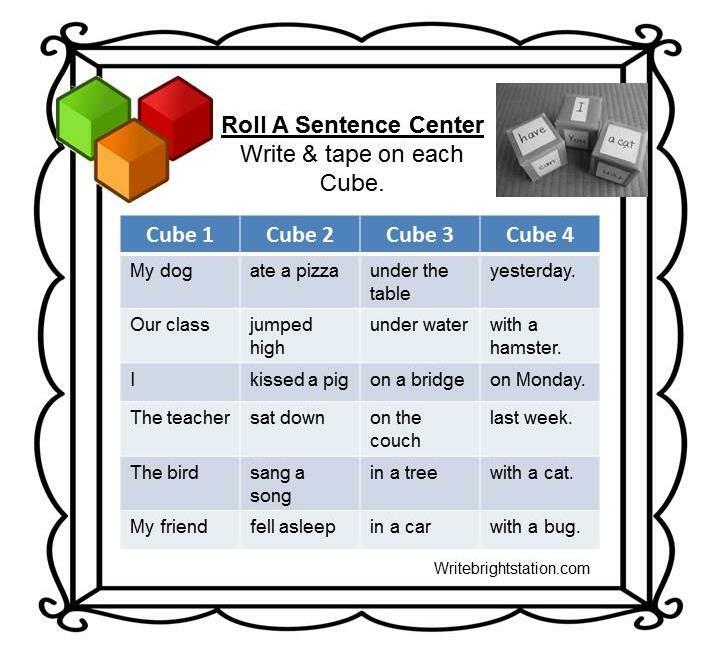 Story centers provide great opportunities for creativity. Print this image for an easy center. All you need is dice and writing supplies.